Lando has been begging me to go snow camping since we moved to the burg and we finally found a compromise. 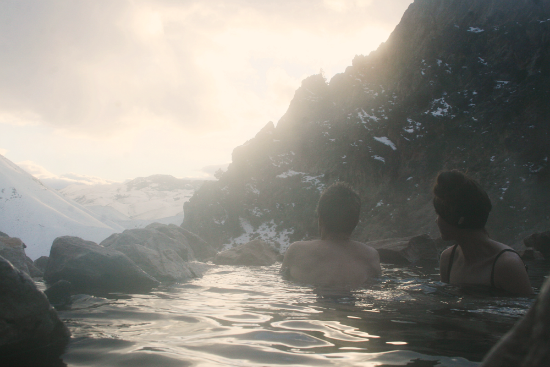 We heard about gold bug hot springs and I decided if I can sit in a hot spring the night and morning before and after snow camping, I would do it. We hiked in 2(ish) miles and set up camp, started a fire to warm up, and trekked another half mile up the mountain to the hot springs. The first photo is the springs, and the second photo it our view. They were *incredible. There were 3 different pools of varying temperatures with crystal clear water. There was a small waterfall you could easily sit under. There was a small smell of sulfur but not overbearing (like any natural other hot spring we've been too.) And that view! Believe it or not, the snow camping was not as horrific as I thought it'd be. I mean, it was brutal and I think I slept 2 hours the whole night and I'll never do it again, but it wasn't that bad. *So yes, the hot springs were incredible. The people there were not. It's not quite a long enough hike to deter the "bros" and their alcohol. And these springs are "clothing optional"- and wow was clothing optional. Needless to say there were a few awkward encounters and some things I wish I could un-see. The fact that we went on Presidents day weekend didn't help either. I guess it was an experience, and man oh man, it still makes me laugh thinking about it. Those photos. I don't camp, and I'd camp for those views. And I like your new header--it seems so you, if that makes sense. beautiful. i love how much you've truly experienced idaho, i definitely took it for granted. hahaha, clothing optional. sounds scary. 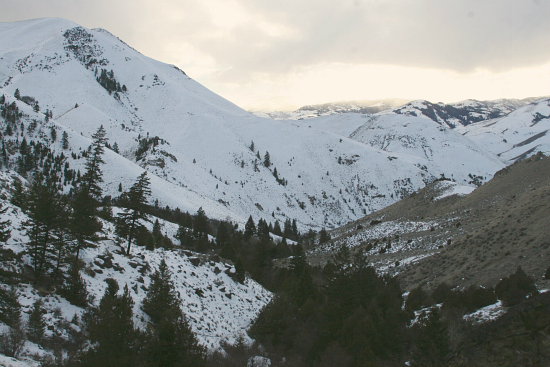 Snow camping does not sound very fun, but camping close to a hot springs in the winter does sound kind of fun.